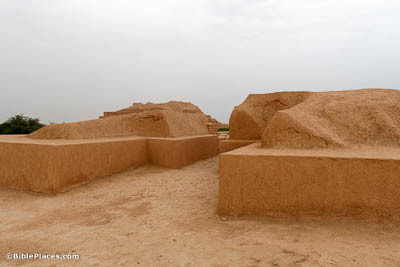 Chogha Zanbil is about 19 miles (30 km) southeast of Susa, in Khuzestan Province. It is considered by UNESCO to be the best-preserved example of a stepped-pyramid ziggurat. It was originally named Dur Untash after the Elamite king Untash-Napirisha, who began building it in about 1250 BC. The central ziggurat and its surrounding temples were encircled by three concentric walls, with gates like this one allowing entrance into the inner areas. But even these redundant fortifications were not sufficient to deter the Assyrian king Ashurbanipal, who destroyed the site in 640 BC. Though the two deities worshipped at the ziggurat apparently held a place of special prominence, the Elamites worshipped many other gods in the complex’s various temples. 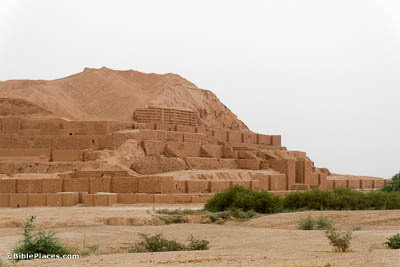 The structure pictured here is one of three that sit just northwest of the ziggurat; they were dedicated to the deities Ishniqarab, Kiririsha, and Napirisha. On each side of the ziggurat, a grand staircase grants access to the structure’s upper levels. 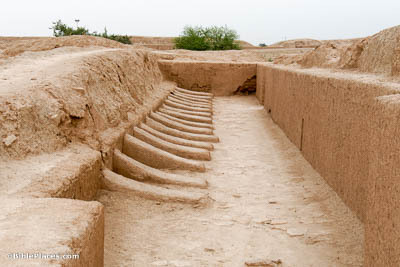 The structure was originally more than double its current height, and on the top level visitors would find a pair of temples dedicated to the two most important deities of Chogha Zanbil: Inshushinak and Napirisha. 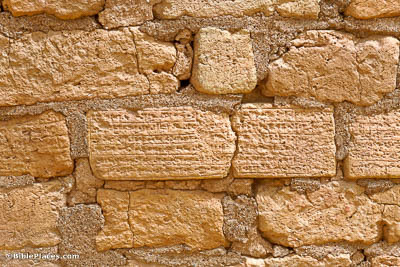 Researchers have discovered thousands upon thousands of inscribed bricks at Chogha Zanbil. 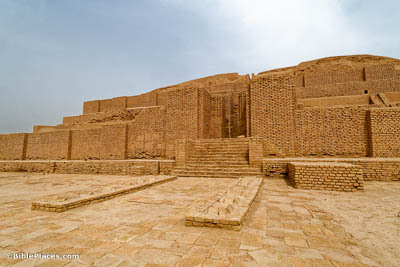 In fact, the ziggurat’s outer façade has a line of inscribed bricks every ten rows, wrapping its whole exterior with information about the city’s origin and the gods who were worshipped there. 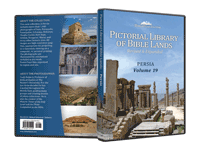 Because of its placement on the road between Susa and Persis, this landmark would have been familiar to many travelers—including the likes of Cyrus and Alexander the Great. 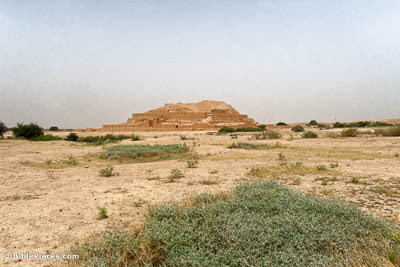 By the time they saw it, however, Chogha Zanbil was already a dilapidated and abandoned husk of its former glory.